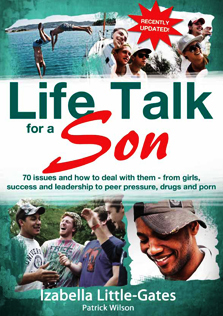 Izabella Little-Gates launched the newly updated Life Talk for a Daughter to openly address the ever-changing challenges faced by girls on their journey through the teenage years into adulthood. 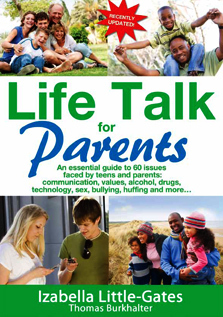 Through candid and astute tips and guidelines on these new issues, Life Talk for a Daughter offers clear and comprehensive advice, perfect for dipping into as and when needed. 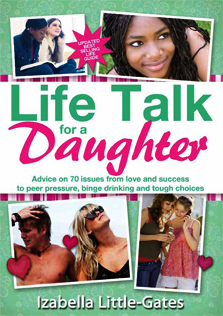 Warm, full of common-sense and offering practical insight into the values of self-respect and personal integrity, Life Talk for a Daughter is a charming and thought-provoking book providing girls with the skills necessary for surviving life’s challenges with grace and humour. Whether it’s dealing with tough times at school, trying to understand Mum and Dad, falling out with a best friend, or falling in love, Izabella’s writing is sensitive to the dreams and anxieties faced by young girls today. 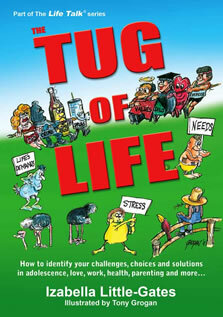 Her clear and comprehensive advice goes straight to the heart of the issues at hand. She is honest without being judgemental, sensitive without being sentimental. 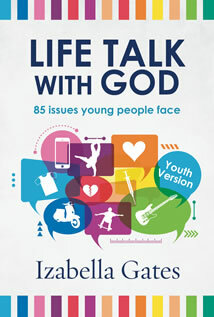 Our best-selling books offer teens, young adults and parents practical insight into life’s various issues and challenges.